While many Angelenos have sworn off carbs (at least when anyone is looking), thankfully there are still many bastions of baked goods across this city where the rest of us can indulge. 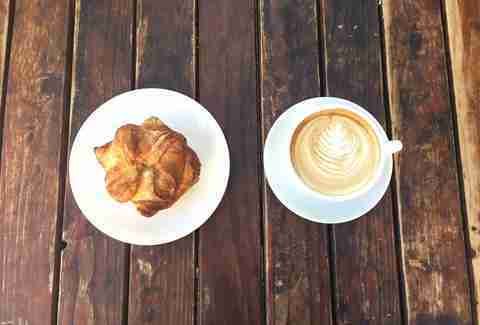 From airy and buttery croissants to hearty whole-wheat loaves, Danish pastries to pan dulce, here are our favorite bakeries in Los Angeles. 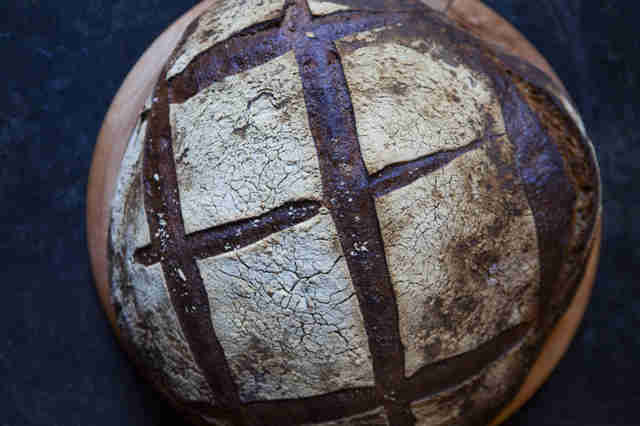 From a small storefront on a quiet stretch of Washington Blvd, three young chefs recently started turning out insanely delicious loaves of whole grain, long-fermented sourdough bread. You can grab a hearty loaf of country, whole wheat, ancient grain, or seasonal specialty to take home, or settle in for thick slices of toast with avocado (of course), jam, nut butters, and more. 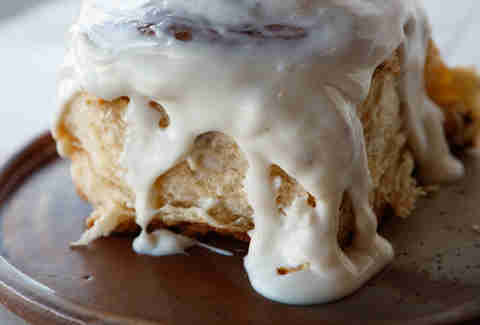 You’re also going to want to check out the other baked treats like the monstrously awesome cinnamon rolls. 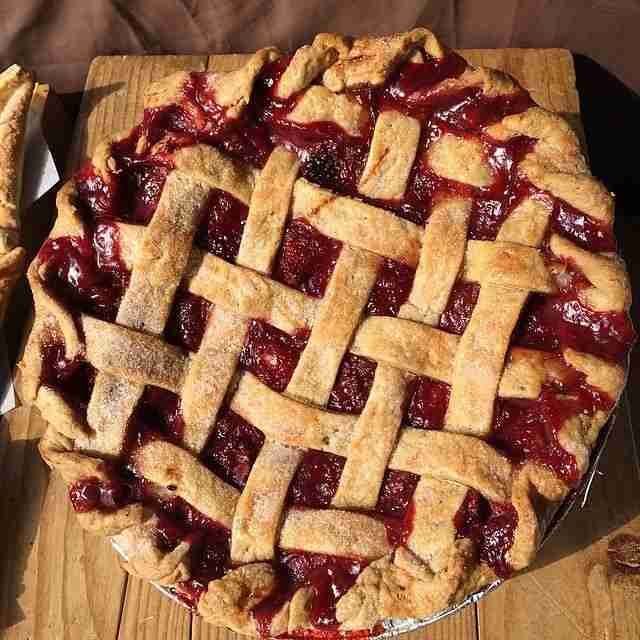 And on Sunday get there early for pizza night starting at 5pm until they run out, where you’ll find an excellent, weekly rotating pie topped with farm-fresh ingredients. 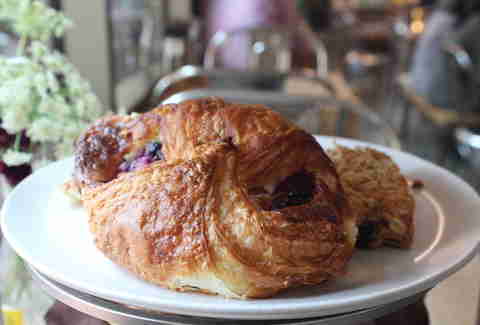 Located just across from Pershing Square, this charming French favorite uses traditional techniques, sustainably sourced ingredients and loads of top-notch butter from France for a great lineup of breads, pastries, and cakes. You’re definitely going to want to check out the croissants and baguettes -- some of the best in town -- but you also don’t want to miss the flaky kouign amann or the beignets filled with Nutella or raspberry jam. 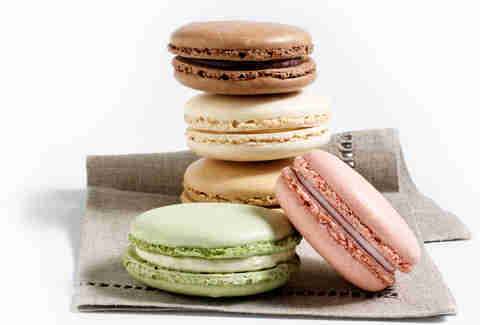 On the sweeter end of the scale you could opt for the great macarons, tarts, eclairs, and other treats. 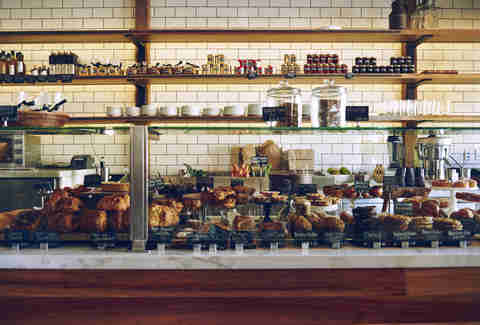 The bakery also has a full menu with solid options for breakfast or lunch. Now considered one of the best bakeries in the country, Proof quickly shot to rockstar status when owner/chef Na Young Ma opened up this tiny, neighborhood spot in 2010. From a massive, decades-old oven, she and her team turn out deservedly famous croissants and excellent sea salt chocolate chip cookies, along with seasonal fruit tarts, galettes, financiers, canelés, cakes, and more. And you might want to get there early as a line often forms before they even open on weekends and the best stuff goes fast. They also have great sandwiches on little baguettes and other savory options as well. 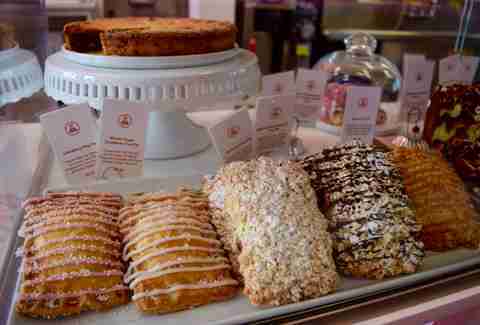 Long-known for addictive, signature mini-cakewiches sold in other specialty stores, Cake Monkey finally opened their own brick-and-mortar on Beverly Blvd late last year (so you can just give up on that diet now). Pastry Chef Elizabeth Belkind’s incredibly tasty treats include mini-layer cakes, pop pies (essentially grown-up Pop-Tarts), cookie sandwiches filled with ganache or buttercream, and El Rollos (essentially, magical renditions Ho Hos). The pies are also ridiculously good, in particular the cherry almond and the cider-roasted apple with a double cheddar crust. There are also gluten-free and vegan versions of many treats and great breakfast items, including a chocolate hazelnut babka and a bacon cheddar scone. You could basically camp out at République and eat very well all day, beginning with pastry chef and co-owner Margarita Manzke excellent lineup of baked goods and pastries. 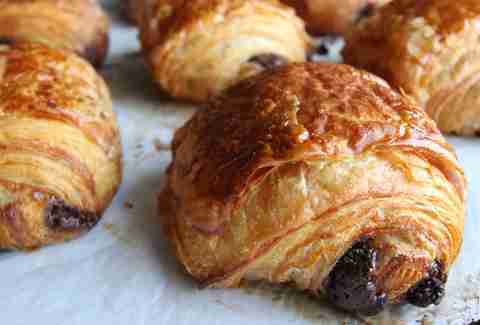 You’d also probably be broke before noon as you tried to make your way through the well-stocked bakery case filled with the likes of pecan sticky rolls, flaky chocolate croissants, and the famous brioche bomboloni filled with cream. The restaurant also has a great selection of knockout breads to take home, including an excellent baguette that, let’s be honest, probably won’t make it all the way home anyways. 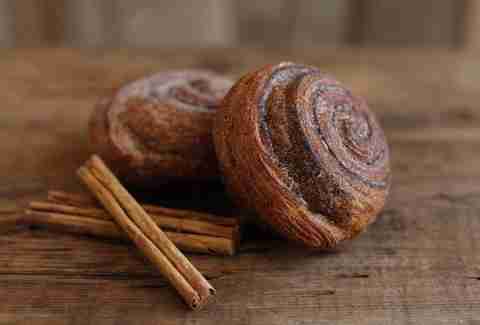 It’s hard to mention great bakeries without somebody losing their mind over Thomas Keller’s baked offerings, and with good cause. While smaller than most of his other outposts, the Beverly Hills spot still offers up plenty of treats like the adored giant macarons, kouign amann, tarts, and more. You’ll also likely want to grab a TKO (aka Thomas Keller Oreo) and the Better Butter (aka the best Nutter Butter ever) while you’re at it. 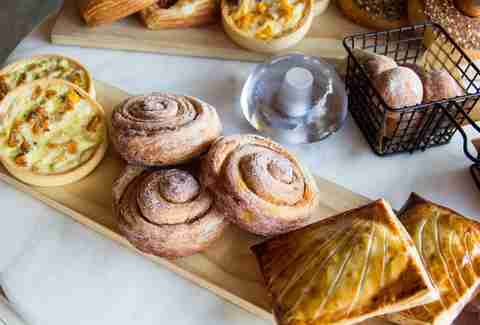 At this bustling Arts District hotspot, lifelong baker Ran Zimon turns out exceptional loaves of bread, baguettes, ciabatta, European-style pastries, and more carb-friendly delights. Some of the highlights include the oblong-shaped Jerusalem bagel, the almond Danish and the Balkan-style böreks -- puff pastries stuffed with savory fillings. Order up a fully-loaded focaccia or one of an excellent sandwich and hit the back patio, and don’t forget to grab a loaf of the fig and walnut or potato rosemary bread on the way out. If you’ve only been to Milo and Olive for the excellent wood-fired pizzas, you’re missing half the fun. Get here early and make your way to the bakery counter where you’ll be greeted by a spread of delectable pastries and a wall of honking-big loaves of bread. You’ll find hits like the sweet cream brioche, buttery croissants, or the maple walnut sticky bun. And if you’re lucky there will still be some of the bakery’s sought-after (and, often, sold-out) bagels. This bright and spacious eatery is a great place to start your day, thanks to bread and pastry director Carlos Enriquez, whether you’re just grabbing an everything croissant and kouign amann to go, or leisurely enjoying avocado toast on house-baked bread. In a city full of avocado toast, Superba’s actually stands out as one of the best (if you’re into that sort of thing). Really anything on that bread is going to be great though, so be sure to take some home; you’ll also probably want to grab a Nutella banana pop tart and a bag of bombolini while you’re there. A long-standing LA institution, this Cuban bakery cranks out an excellent selection of baked goods, pastries, and cakes. Be ready for a line and have your mind made up by the time it’s your turn, which won’t be an easy decision. We strongly recommend the guava cheese strudels, and both the sweet and savory empanadas. And while they’re not technically “baked” you can’t leave without a box of the signature potato balls. Seriously, don’t even try. 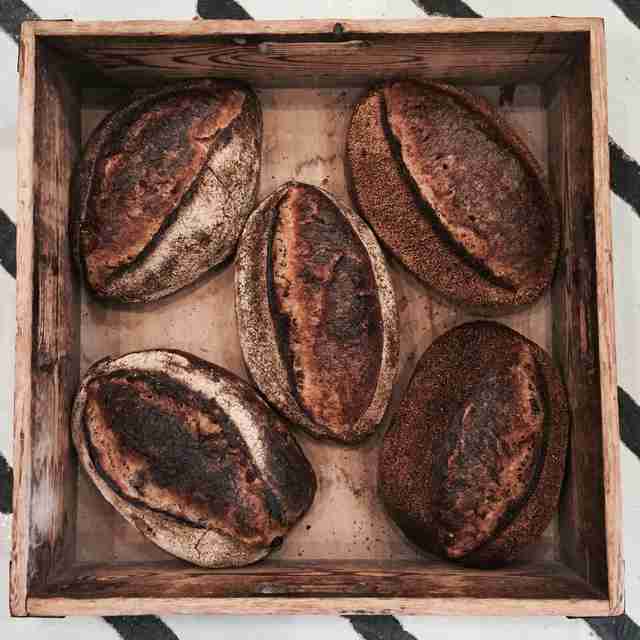 Nathan Dakdouk has been baking fantastic breads and pastries for Chef Suzanne Goin and Caroline Styne’s busy LA eateries for years, and recently the operation has expanded into a full-scale wholesale biz. Hit up one of the Larder’s retail locations (The Larder at Burton Way, Maple Drive, Tavern, and LAX) for all manner of tasty morning treats, including almond croissants, sticky buns, and the cinnamon-buttery goodness known as monkey bread. Before opening Milo and Olive, Zoe Nathan and Josh Loeb were drawing the hungry crowds to this busy neighborhood spot with excellent organic breads and pastries. You really can’t go too wrong here, though we’d recommend looking out for the prosciutto and gruyere croissant, the maple bacon biscuit and the blueberry cornmeal cake. On the sweeter side you might opt for the seasonal fruit tarts and definitely the whole wheat chocolate chip cookies. This legendary Mexican bakery recently came under new ownership and received a much-needed facelift. Thankfully it still offers some of the best pan dulce in town -- some say even better these days -- and excellent tamales. 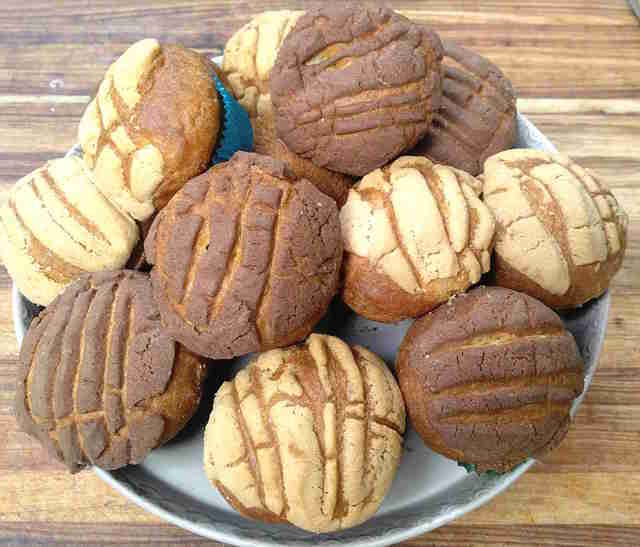 Order up an horchata latte and a selection of sweets, including the coconut-strawberry rolls, chocolate conchas, and cinnamon-dusted chilindrinas. For a savory option, check out the breakfast tortas on house-baked bolillos. If you’re a fan of Danish pastries, you absolutely have to make your way to this temple of Danish delights. Even if you haven’t been won over in the past, you quickly become a convert as you devour these buttery and flaky treats made by actual Danes. Explore away, but be sure to try a kringle-filled with marzipan and custard, the Copenhagen with chocolate and custard, and the raspberry macaroon and the traditional rye bread. 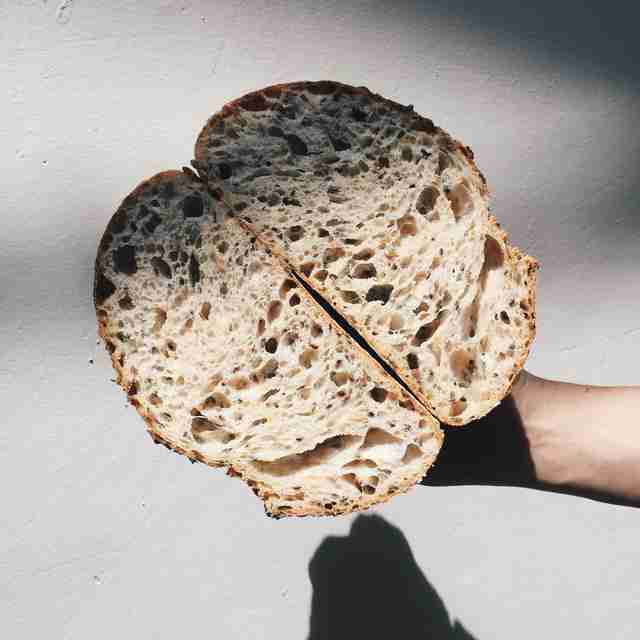 While French baker Jean-Luc Labat doesn’t have a storefront in LA you can stock up on his hearty, certified organic breads and incredible pastries at farmers markets all over town. 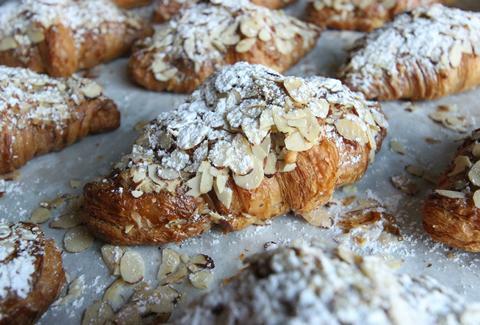 Be sure to grab several chocolate almond croissants before they sell out, as well as some fruit-filled beignets and morning buns. Also, be sure to pick up one of his excellent baguettes and a loaf of the spelt bread for the week. From the folks that brought you the long lines and addictive, wood-fired pizzas of Gjelina comes an artisanal bakery/deli full of Instagrammable eats with a Middle Eastern twist. You’ll definitely want to order a signature baklava croissant stuffed with pistachios, and you’ll probably want to consider the fruit tarts, the fruit and nut morning bread, or maybe a slice of pie. You can also grab loaves of their freshly baked bread or if you’re in need of more sustenance there’s the bialy breakfast sandwich or the pastrami on house bread. Pastry chef Sharlena Fong works wonders at her small shop across the street from Cole’s. You won’t want to miss her decadent and wonderfully named Ding-a-lings, which are basically grown-up versions of Ding Dongs with fluffy cake, creamy frosting, and a chocolate ganache shell. Get the red velvet and peanut butter crunch. Also worth investigating are the crullants -- a cruller/donut hybrid available in excellent flavors like churro and creme brulee. And on the savory side, the McFong breakfast sandwiches with house cheddar-chive biscuits are exceptional. Chances are you may have heard the buzz about -- or even eaten -- Valerie Gordon’s chocolate-covered toffees, truffles and petit fours, but if you haven’t yet tried her pastries, cakes and pies, you’re missing out. Prepare yourself for excellent seasonal savory and sweet hand pies, tarts, croissants and save room for the slightly smoky Durango chocolate chip cookies. This La Brea favorite for brunch and lunch from Karen and Quinn Hatfield hits you with a tremendous lineup of baked treats and killer sandwiches on house-baked breads. The salted caramel pecan babka roll is a must-order, while the flaky buttercup pastry and the chocolate-filled rice crispy cookie are great choices as well. But really anything behind that glass is likely to be stellar. This cheerful and long-running bakery offers up fantastic sweet and savory treats and great loaves of bread to take home. On the sweet side of the stocked case, you’ll find excellent hand pies, s’mores bars, brownies, cookies, and baked donuts, while the savory selection provides treats like maple bacon scones and croissants stuffed with ham with Gruyere. You’ll also usually find a colorful selection of seasonal and holiday treats. The cafe also offers up some great brunch and lunch options -- just be sure to get there on the early side to secure a table. Even if you haven’t been to the Grand Central Market stall of one-man-band-baker Zach Hall, chances are you’ve probably eaten his incredible artisanal breads at some of the top restaurants in town. The former musician and baking wunderkind uses old-school techniques and only the essential, top-notch ingredients to make his hearty and rustic loaves. 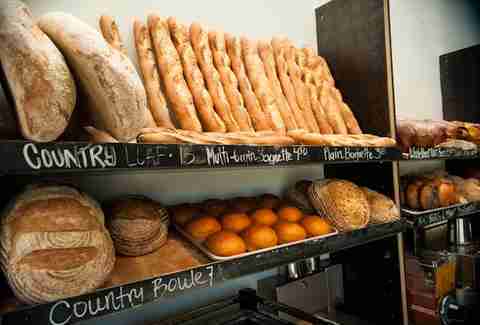 Hall produces some of the best sourdough in town, along with amazing baguettes, and a Danish rye definitely worth checking out. Danny Jensen is a regular Thrillist contributor who happens to be a little Danish himself (you can tell by his last name). Follow him to the magical land of carbs on Twitter and Instagram.